Tired of salon management software? So were we. Meet salonMonster. 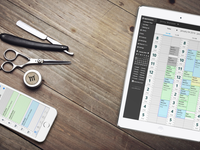 An app made for beauty professionals by beauty professionals with a familiar appointment book look. 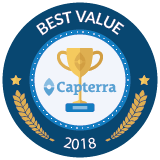 We'll help you spend less time running your business and more time celebrating it! Easy online booking for your appointments and clients. Accessible anytime, anywhere on your computer/iPhone. No software to install. Email + Text reminders, POS, double booking/bookbacks, recurring appointments, bulk email and incredible support. I love that my clients get reminders and can book on line, it saves me a ton of time! Pros: I am a self employed hairstylist renting a chair so I do not have a receptionist. I originally wanted the system for the reminders to avoid no shows. I thought my clients probably wouldn't use the on line booking, as the most book before they leave. As it turns out, they love booking on line. I can then see what they have booked and adjust accordingly before I confirm their appointment. I get almost no phone calls now and my clients love the email reminders! I can also book standing appointments which are so helpful and easy to do. I use my ipad, my iphone and my computer to do all of my bookings. If I am on holiday, I can easily check a booking request and confirm it from my poolside chair, all while sipping a cocktail. Whats not to like? 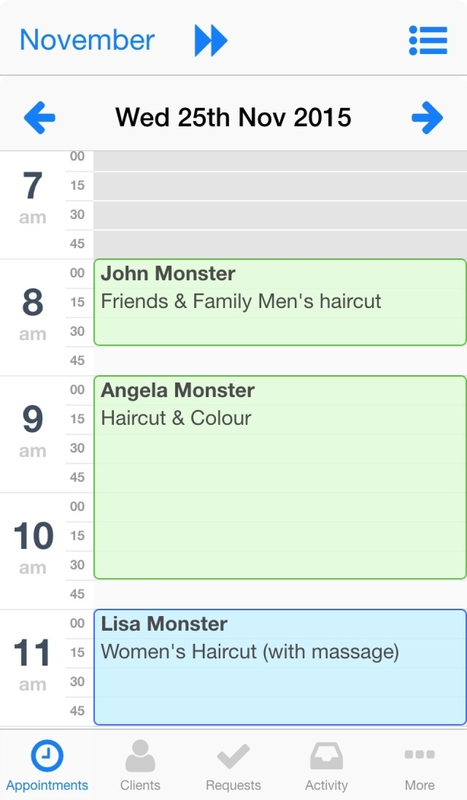 In today's fast paced busy world, Salon monster allows me to be on top of my schedule at all times! Cons: I really only have two small issues with the system. I can only set the system to book on 15, 30, 45, or 60 minute intervals My preference would be to have established start times. Such as on the half hour in the morning and on the hour in the afternoon. Right now my clients can book at 4:30 for a cut but I book on the hour in the afternoon so I then have to spend the time asking them if I can change it to 4:00 or 5:00. This happens rarely so not a big deal. The other is occasionally a client will send a message along with an appointment request but there is no way for me to respond with in the confirmation of the appointment so I just have to send a separate email or text. Again not a big deal. I searched hi and low for the perfect software and found it with Salon Monster! Pros: The thing I like the most about the software is how much it looks like a paper book. For us old timers this brought us from the past into the future. It is simple enough to navigate and the clients love the ability to book whenever it comes to mind. I can see from the emails some clients book in the middle of the night! I have recommended the software to other stylists who are just as pleased with it. The ease of being able to check your book from any mobile device is also a bonus. I was particularly proud to find out it is a Canadian company since I was born and raised in Canada myself! Cons: There are not any cons about he software. I do find it difficult to save an appointment on occasion the chat button gets in there way on certain mobile devices. 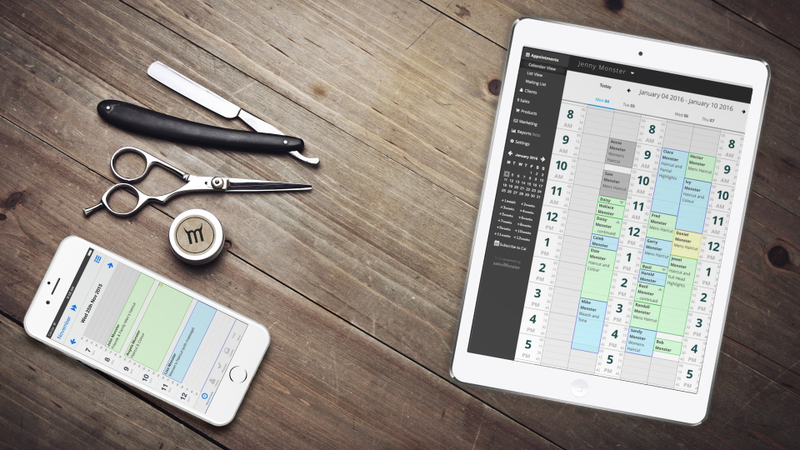 Overall: Booking appointments on the go! The team at Salon Monster are just straight up amazing . Best customer support ever ! Pros: What I love about this software is that its so functional and sleek, meets all my needs, yet easy enough for a toddler to use . 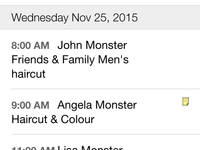 Also the Salonmonster app is seriously life changing . My life is so much easier as I am able to see and control my day while at work from my phone within seconds . Overall: The web design is beautiful . The software has literally NEVER malfunctioned unlike most salon software programs . Every salon I have worked in constantly has malfunctions with their software and the sites are always crashing, Even where I work as an independent stylist the owner of the business space uses a different software that is ALWAYS crashing . WHile mine has NEVER crashed . Its so easy to use as well as administrate that a 4 year old child could use it . Also from the customer stand point, using this site is easier than saying I want an appointment . So clients also love using the SalonMonster software / site . Pros: it is SO easy to use, and quite intuitive. everything just makes sense. no higher-level quagmires to wallow thru to accomplish what you need to do. Cons: quite literally, the only shortcoming we see for our use is the lack of a formal waitlist, and some client management features could be easier to use, mainly filters, for figuring out future client appointments. but, as mentioned earlier, these guys are the BEST.....always adding features and tweaking things to improve, so im sure that very soon these issues will not be an issue. i am overly impressed with the staff and support. Overall: it just simplifies our business.....like autopilot. what more is there to say? support is fantastic, and we dont have to worry about anything at all but keeping clients in the chair! Overall a great product to use! Pros: Easy end of year at tax time, and having it on my phone allows for easy scheduling on the go. It easily stores all my client information and allows me to send out group emails to everybody at one time which is very helpful! Cons: The mobile version isn't as user friendly, I usually use the desktop version even on my phone. And I work days one week and evenings the next, it would be really great if here was a way to set hours to accommodate that instead of having to have the same hours set each week. Looking forward to an app coming out one day! Overall: It is the first scheduling program I've ever used, I used to only use a scheduling book and pencil! So it has vastly changed the ease of booking clients in for me. I find it much easier to be able to book clients in from my phone on the go, and it sends a reminder email which is brilliant! Way less forgotten appointments. 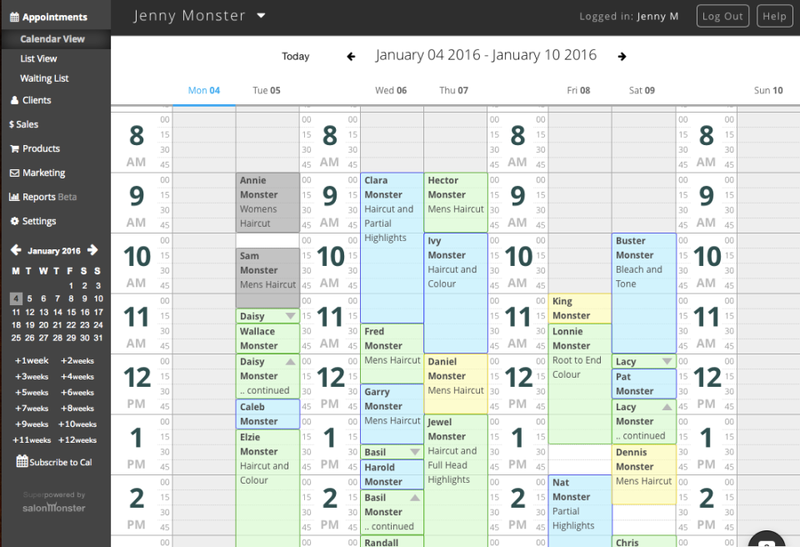 I enjoy supporting local small business, and the SalonMonster system is user friendly & convenient. Pros: I like the convenience and ease of use. Customer/tech support is always fast, and very helpful. It's super helpful to have the smart phone app for this booking site also! Cons: From client feedback, I have heard of clients experiencing difficulty booking in during some periods of time. Perhaps the site was down, or being repaired?? This has only happened a handful of times in the last 4 years that I've been using SalonMonster. Overall: I am able to build a growing clientele, and to capture client information with minimal work. My clients love the convenience and ease of use also. 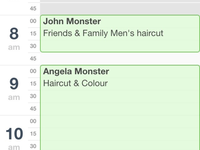 It has been real beneficial using salonmonster software. Very affordable and very user-friendly. 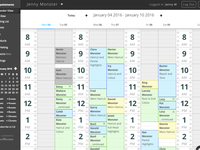 Pros: It's so accessible from many devices for myself and staff to check our schedules. Easy for clients as well. 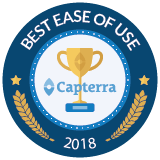 My clients always race about the user-friendly experiences they have. It saves a lot on phone calls to the salon. Clients can easily make and check on their own appointments. The team at salonmonster have always been a pleasure to work with as well. Fast and very friendly customer service! Cons: I have experienced a few glitches over the years working with it. However all of them have been ironed out along the way. Our customers absolutely love making their appointments online. Pros: We are using Salon Monster in Thailand. It has revolutionized the customer appointment process, making it so much easier for everyone. 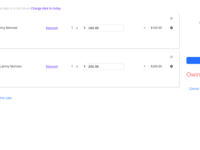 It's very customizable, support is the best I've ever seen, and the reports function is so helpful. This is absolutely AMAZING. Thanks so much to the development team for such a great product. Cons: To be honest, there is very little I can say negative about this software. Everything works so well. Overall: It saves so much time handling phone calls, emails on appointments. Customers just self select. Pros: This software is developed by people who understand our business and the unique issues we face. Customer service usually responds and fixes problems in hours not days or weeks like the big companies. Cons: If the software integrated in with Square I would be the happiest man on earth. But I can work around that to have such easy software for my clients to schedule with. The UI seems to be very intuitive even for my older clientele. Overall: I get easy to use software from nice people that works! I have used this for many years now, I tried another originally but liked Salon Monster better. Pros: I like the customer service, I think that's the stand out thing that separates Salon monster from others. I encourage my renters to use the service. Overall: I love the site, I like that I can access it anywhere, any time. I like the support I have always received when I need help or anything happens that I don't understand. Stephen and his team are great! Always quick to respond if I have a question. Cons: The bad news is if the internet goes down we can't use our laptop. 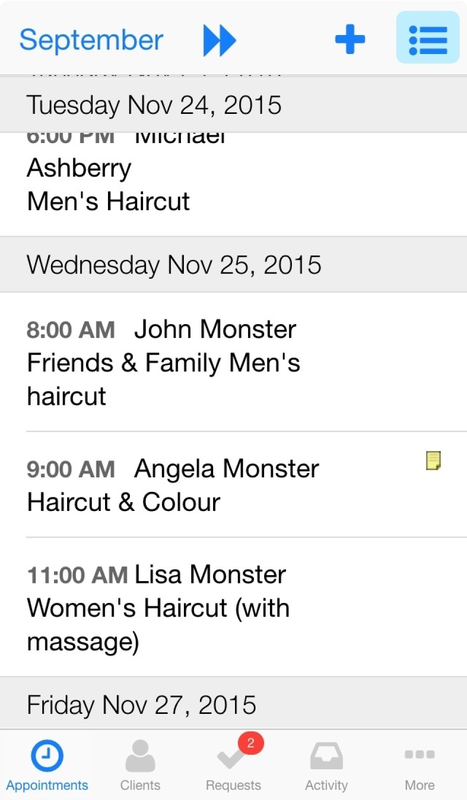 The good news is we can still access salonMonster using our cell phone. I absolutely love this program! The customer service is the best I've ever experienced anywhere! Cons: It can be a little glitchy. The app needs a week view option rather than just daily. I would love it if it linked to square reader!! Overall: It has allowed me to run my business smoothly on a budget with more features than I could eve imagine! Love salon monster ! Customer service is excellent. Pros: I love how easy it was to add to my personal website. My customers also always tell me how easy they find it to book their own appointments threw my website & salon monster. Cons: That you can't customize easily your schedule. I work ever second Saturday and it would be nice to not have to go threw and book off the alternating Saturday. Pros: My most favorite feature on the SalonMonster software is the fact that I have been able to become almost entirely paperless with regards to client files, color formulas & contact info. I also absolutely love the "reminder email/text" feature, it is amazing! Cons: My only problem with the SalonMonster software is on the app when I got to change a preset item price, I have to delete the entire amount (not just select #'s). Overall: It has totally changed the way I do my daily business. I am much better organized, my client files are way more organized as well the reminder alerts have lessened the amount of phone calls I get "asking when their next appt is". I love the ease and convenience of Salon Monster, The tech Support is so great too! Overall: Less no shows, I love that I can keep track of my sales as well. Pros: Text reminders for apts..love the way the apts block turns colour once the client has received their notification..simple to use..
Cons: Not being able to book double services for one client..otjer than that I have no issues whatsoever with this app.. In my short time using this software it seemed to do what all other CRMs do. Pros: I found it was easy to use and overall would be easy enough for one to switch over their current CRM to this one. I believe it comes with a free trial. Cons: What I like the leastt about this software is that it's doing what every other CRM offers but doesn't bring anything new to the table.